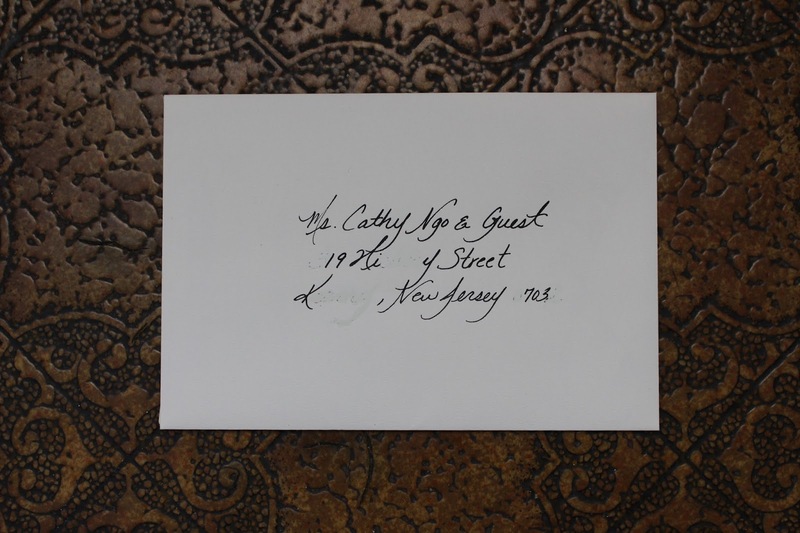 MagnetStreet often holds giveaways for brides to win their wedding stationary, save the dates, programs, and even thank you cards. I found this company as I was browsing for save the date designs and "liked" their facebook page. The first promotion I saw from them was to win 150 wedding invitations. Wow, really? Let's give it a try. I Never expected to win! I had low expectation since they have over 30k fans on facebook and it was the first time I entered after finding them. I also apply to every wedding giveaway I find, so this was the first time I won something for my wedding! I was ecstatic! This helped me save at least $300 on the wedding (I only need to send out about 100). 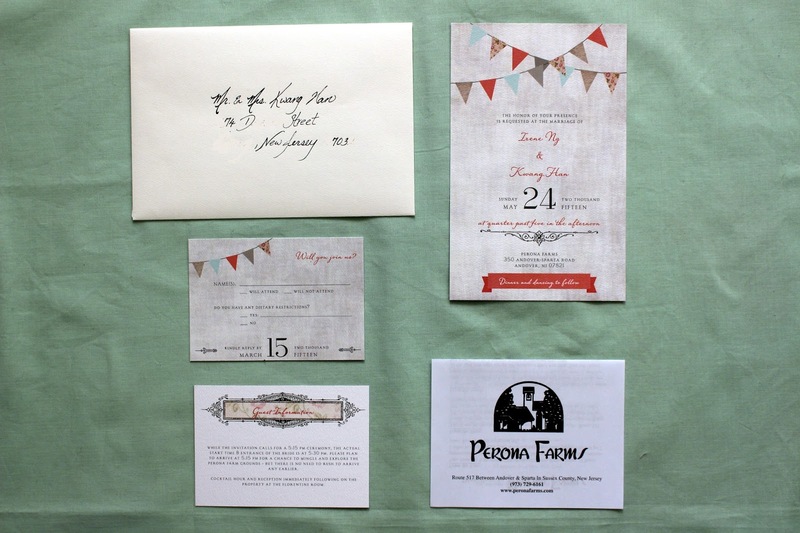 I browsed through all their invitations and at first none of the designs really caught my eye. We decided on "Candelit Mason Jars" to go with our theme. The woodsy background goes with our outdoor ceremony between the trees. We even ordered a few free samples and had the candelit mason jar one customized. 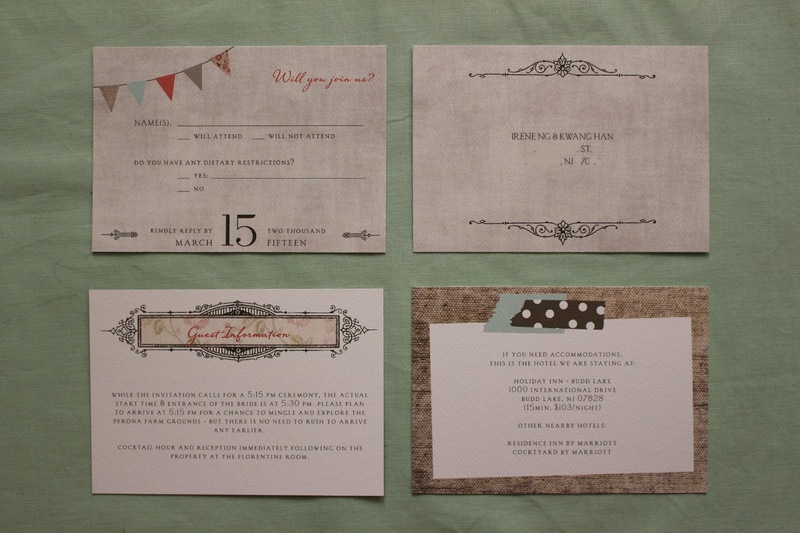 When it came time to actually order our invitations, I was having second thoughts. I just felt like there wasn't something special about it. As I was browsing the selection again, I started to like "Vintage Bunting" a lot. I hadn't thought much about it before because I thought it was too rustic for my wedding. But after looking at it some more, I really like how elegant it also looks with the font, filigree, and floral designs. My fiance also changed his mind and liked it as well. After making 1 free customization of it, we realized this was the one! I love how they came out, and the quality is great. Nice cardstock that is not flimsy at all. The package also included the RSVP cards and Enclosure cards. I love how all the cards have a front and back design. The RSVP are postcards so we can just add a postcard stamp and have our guests mail them back to us. My friend Yuchen also helped address my envelopes (available for hire! ;D). As she did with my Save the Dates! They came out really beautiful. I couldn't have written them myself as fast or fluid since I don't have years of practices (just days!) They definitely put the finishing touches on my invitations.